At Inflection Point we can provide organizations the flexibility, real-time data and user friendly features they need to make the most from a CRM System like Salesforce; which offers a complete set of tools available from the Cloud to create the best of experiences for your customers, with smart solutions and smooth integrations. 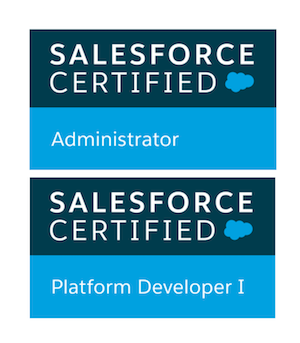 Our skilled developers and QA engineers are certified as Salesforce Certified Administrator and Salesforce Certified Platform Developer I and have broad knowledge and experience working with Salesforce applications. - Integration of third party applications with Salesforce using REST and SOAP. - Salesforce Lighting custom application for mobile support. - Development and design apex trigger functionality to automate processes. - Custom Visualforce pages and components for internal and external users. - Development and design of custom communities. - Design and implementation of Salesforce objects, workflow rules, custom layouts, process builders and other standard customizations. Physical security platforms & best practices to protect IT infrastructure.